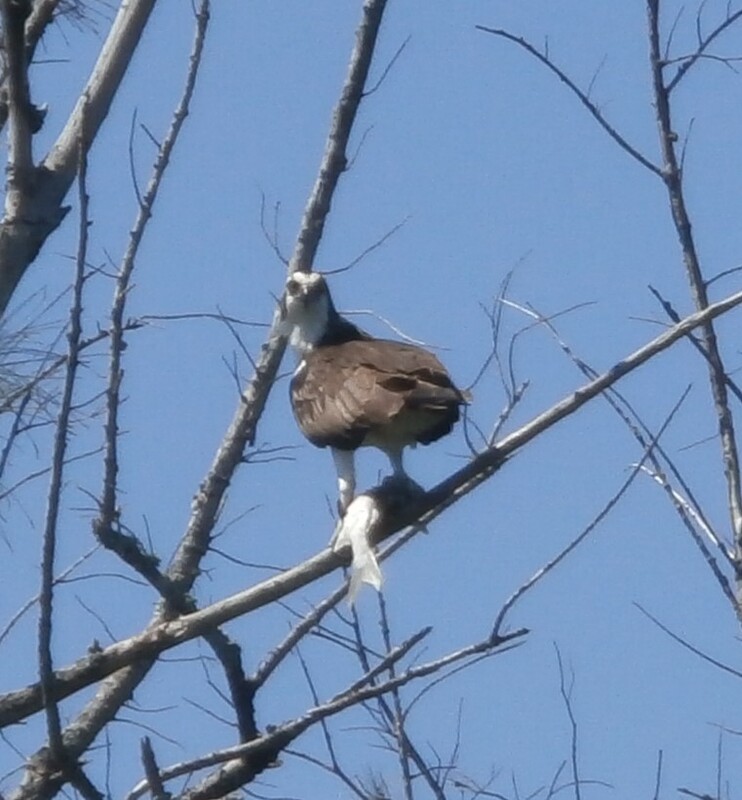 Osprey with Fish | Motorized Kayak Adventure's Blog! They love fish. Taken near Raccoon Island in Fort Pierce, FL, this photo is of an osprey with his fish dinner, and we don’t think he wants to share. Fish is the primary food source for these magnificent birds of prey and we see them often on our tours.